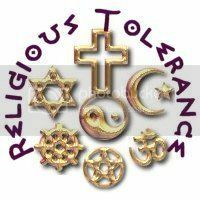 Seeking creative and flexible ways to deal with those who offend others' faiths. Alfian Sa'at. The spiritual purification one experiences during fasting finds its zenith during this annual re-setting of accounts, where moral debts are cleared. What bogs down the soul are the grudges that people hold against us. As such, I have always associated Hari Raya with lightness, a certain freedom of the spirit—never mind that the physical body itself is stuffed full with specially made delicacies like ketupat and rendang. Fresh from his prayers, this seemed to be a serendipitous find. When Irwan flipped the pages, however, he was shocked to discover that he was holding on to a tract, illustrated like a comic, which denigrated Islam. It was filled with drawings of sinister-looking Arabs, and alleged that Allah was a pagan moon god. The tract was published by Chick Publications, a company based in America. Irwan made a police report, as he believed that a publication of such nature might ‘incite religious tension between Muslims and Christians’. 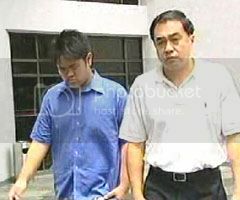 Investigations eventually led to the arrest of Ong Kian Cheong and Dorothy Chan, a Protestant Christian couple who had been sending evangelical tracts for the past 20 years. It disturbed me that Judge Neighbour had described this ‘fabric’ as ‘delicate’. What this suggests is that the bonds between the different ethnic and religious communities in Singapore are still fragile. That mutual respect exists outwardly, but slips back into mutual suspicion behind closed doors. That ‘tolerance’ as a governing principle of dealing with the ethnic other has failed us. On the surface, ‘tolerance’ seems like an alluring formula for maintaining ‘multiracial harmony’. We ‘endure’ the calls of prayer from Sultan Mosque in the vicinity of Arab Street, or flecks of charred paper flitting in through our windows during the Hungry Ghost month. We grin and bear it as we pick up an evangelical flyer slotted under our door, or crawl along a traffic snarl caused by a Thaipusam procession. In justifying our forbearance, many of us will tend to cite the virtues of diversity, but often in facile and clichéd ways. Having such plurality in our society means having a variety of food at hawker centres, more public holidays, more ‘local colour’. But any discussion of tolerance must also take into account its limits. What happens when we have reached the end of our patience, when we feel as if another person, out of mischief or malice, has caused us unacceptable offence? Then, a desire for justice—retaliatory, retributive—rises to the surface. In some extreme cases, this might even take the form of violence. This is where the state is often expected to intervene. Positioning itself as a secular, impartial entity, the state exercises its powers in deciding who it should punish and who it should protect. In other words, it is the umpire presiding over an arena of constant low-intensity warfare, of perpetual irreconcilable differences. But is this desire for justice the only response when the limit of tolerance is breached? It might very well be our first instinct. But there is another response available to us, though often a belated one—forgiveness. In Singapore, the Sedition Act has been used on three occasions. In each case (PP vs Benjamin Koh & Another, PP vs Gan Huai Shi, PP vs Ong Kian Cheong & Another), it involved speech that denigrated Malays and Islam. On one hand, we can say that these are sobering examples of how certain members of a majority can be so blind to the sensitivities of minorities. On the other, the image of the local Muslim community is also affected. Some might form the impression that Muslims are especially quick to take offence, would not hesitate to seek redress through legalistic means (by filing police reports), and are generally unforgiving and implacable. But what if we were to introduce an ethics of forgiveness into our concept of inter-ethnic relations? What if we temper our natural demands for justice with the possibility that even those who have hurt us the most still deserve our pardon? I consider a supervised probation to be a more effective means of rehabilitation than an 8-week prison stay. This is because the offenders—especially if they are prone to overzealous delusion—might perceive their prison sentence as unfair persecution by one of their enemies: a secular, godless state. Instead of reflecting on how they might have erred, they might find themselves resentfully nurturing a martyrdom complex. Civil society groups such as the Inter-Religious Organisation of Singapore (IRO) should be consulted on the exact nature of the ‘community work’ to be performed by the offenders. This is a delicate matter, because simply coercing the offenders to conduct visits to mosques, or to participate in activities organized by Muslim organisations, might prove counter-productive. The presence of Christian representatives on the IRO might mollify the offenders’ unease that they are being forced to ‘deal with the devil’. As for counselling, a useful model would be the Religious Rehabilitation Group, a body of volunteer Islamic scholars set up under the aegis of the Islamic Religious Council of Singapore (MUIS) to deal with the detained members of Jemaah Islamiyah (JI). Christian clergy could be tapped to advise offenders on the mainstream practice of Christianity in a multi-religious society. The participation of the Christian community is also an important dimension that has been missing from the picture. To the best of my knowledge, there has been no public statement from Christian religious authorities condemning the actions of Ong and Chan. Contrast this with the response by MUIS in the aftermath of both the September 11 attacks and the JI arrests, where press releases were circulated to restore an image of Islam distorted by extremists. One assumes that non-Christians are rational enough to note that both Ong and Chan are not representative of the majority of Christians in Singapore. Nevertheless, I do think that the Christian community and leadership should take ownership of the issue. If Ong and Chan had defended their actions as a Christian duty to spread the Gospel, then surely some housekeeping is in order. Taking ownership, however, is not equivalent to taking blame. It would have been a gesture of reassurance if the Christian community had issued its own internal guidelines on the practice of proselytisation. For starters, I would like to suggest the following: firstly, proselytisation should not involve any form of insult to other religions. Secondly, it has to be a dialogic, instead of a monologic, process—the person you are trying to convert is entitled to a right of reply, which includes saying ‘no, thanks’. Thirdly, one should not target vulnerable parties, such as children, or those on their deathbeds. Ong’s and Chan’s methods—the unidirectional mail-bombing of offensive tracts that appeal to the young due to their pictorial nature—violates all three points. A common greeting you might hear on Hari Raya is ‘maaf zahir dan batin’. The phrase means ‘I seek your forgiveness for wrongs both obvious and concealed’. Incidentally, Az-Zahir (the Manifest) is one of the 99 revealed names of God, as is Al-Batin (the Hidden). There is something quite absolute about this request—to be forgiven even of the unconscious wrongdoings—which serves as a reminder of how our actions may affect others in ways we might not fully appreciate. The Sedition Act, ostensibly, aims to protect those of certain races and religions (especially minorities) from hate speech. In exercising such a paternalistic function, however, it robs the aggrieved party of the power to forgive, and the right to decide the ways in which one can heal a damaged relationship. The Muslim community also has to take ownership of this issue of sedition: should we continually seek protection from the courts, thus legitimising a national security nanny-state? Instead of casting ourselves as passive victims, can we exercise forgiveness, seeking creative and flexible ways to deal with those who have wronged us, and thus finding a position as active moral agents? To the question of ‘Who is Allah?’, it would be prudent to remember that one of His 99 names is Al-Ghaffar—the Ever Forgiving. To my Muslim readers, Selamat Hari Raya. And also, maaf zahir dan batin—to both Muslim and non-Muslim readers alike. 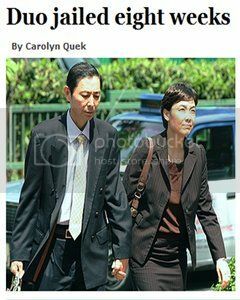 Headline picture from Malaysia Trekker.